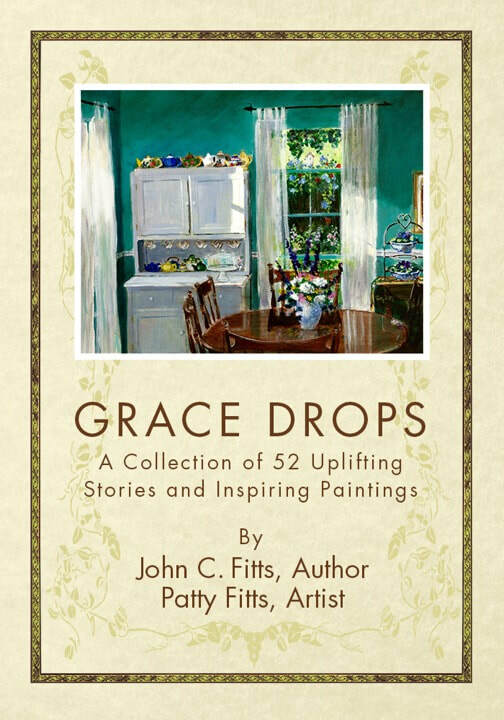 Grace Drops–the E-Book is composed of 52 Grace Drops stories all written by me, with a painting by Patty accompanying each story. It is both uplifting in content and display. There are enough stories to have one for each week of the year. Then, you can just start over. No dupllicate stories or paintings. Even if you just go through the book looking at the paintings it is worth it. Those who are fans of the Grace Drops weekly offerings will want to have one of these on their Tablet or Kindle Fire or whatever device works for you. Only $2.99 for this one of kind book. We both hope you enjoy it.